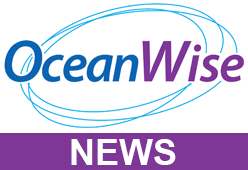 A consortium led by exactEarth Europe and comprising OceanWise, UK Satellite Applications Catapult, Pole Star Space Applications and TeamSurv has completed the demonstration of a new global maritime machine-to-machine (M2M) and Internet-of-Things (IOT) platform/service. The project was funded by the European Space Agency (ESA) Integrated Applications Promotion Programme. The innovative global M2M/IOT data service known as ‘Automatic Identification System (AIS) Sensor Network Service’ (A-SeNS) uses Application Specific Messaging (ASM) and exactEarth’s standard vessel tracking satellite constellation to upload sensor data from users’ remote maritime assets in real-time. In the demonstration, data retrieval from navigational aids installed at a UK port and sensors set up on two work boats were both successfully tested, with trials partners accessing data in real-time for ingestion into their own information platforms.